Author: Suzan Alamin. Series edited by: Wilhelm J.G. Möhlig, Bernd Heine. 16 pp. Roman, 161 pp. Tima, a language spoken in the Nuba Mountains of Sudan, is classi­fied by Greenberg (1966) as a Kordofanian language belonging to the Katla group. The exact number of Tima speakers is difficult to deter­mine. The most current estimate, based on interviews with native speakers in 2004, is 5,000 (Dimmendaal 2009). Tima is considered as a highly endangered lan­guage. This is due to a number of reasons and primary among these is pressure from other lan­guages. The Tima community is surrounded by a number of Kordofanian as well as Nilo-Saharan languages. Arabic, as the lingua franca, is used by all ethnic groups in the area of the Nuba Moun­tains and becomes more and more prominent. The study consists of five chapters. Chapter one gives a brief background about the language and its classification, as well as some general information about Tima speakers and their community. Chapter two presents basic concepts which are related to the study of word structure (morph­ology) in a language. 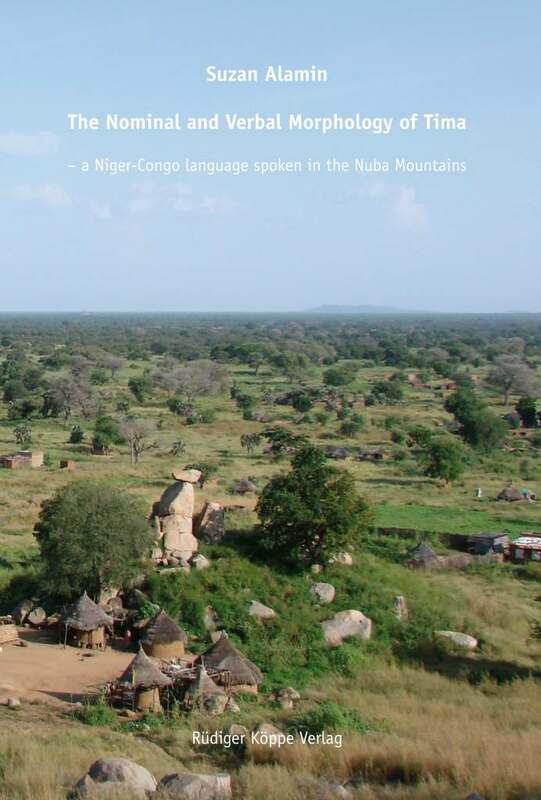 Of special interest is the review of literature, focusing primarily on studies of general morphological phenomena widely found in African languages and more specifically in Tima. Chapter three analyzes the nominal system in Tima, and is divided into two major sections, noun class prefixes and nominal modifiers. Chapter four covers the verbal morphology of Tima, first presenting the structure of verb roots and the different slots that are occupied by the various morphemes. Other issues discussed include the pronominal system, tense, aspect and mood, and derivational processes. Chapter five covers nominalization and compounding. The study concludes with chapter six where the findings are summarized and some aspects for future research are dis­cussed.